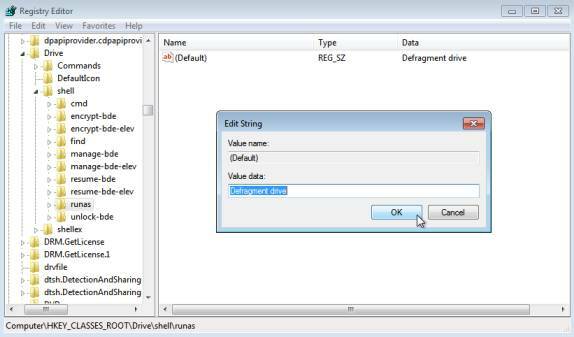 Since it takes a relatively long time to browse the Windows Control Panel to find the items you are in need of, here is a workaround for one of the items you probably use or should use most, the defragmentation of drives. 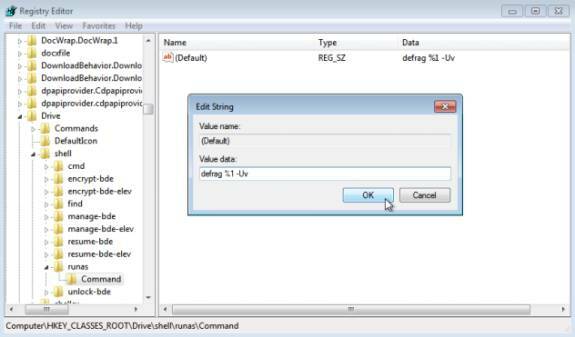 This guide describes how you use the Windows Registry to add the defragment-command right into the drives' context menu appearing on right-click. Now right-click the shell key, select New > Key and name it runas. Runas (run as...) defines a new entry in the context menu which lets you open a file, in our case a drive, with a certain application. Look at the contents of runas and double-click the (Default)-value. Change it to the name you want to be displayed in the menu, e.g. 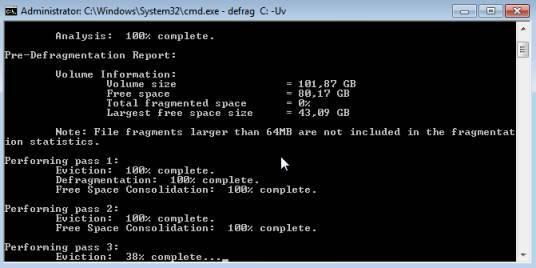 Defragment Drive. Now right-click the created runas-key and create another key inside of that, call it Command. The value inside of that key determines which action should be run upon using the option.